Rob Forkan and his brother Paul are the brains behind Gandys. They continue to work towards their ambition of having a children’s home in every continent and making the best quality apparel they can. One morning Rob Forkan woke up in a tent at a festival with a ridiculously dry mouth and an idea. To start a company selling what his mouth felt like. Gandhi’s flip-flop. Today Gandys is an international apparel brand, but brothers Rob and Paul Forkan’s journey started way back before then, in 2001. In 2004, Rob and Paul’s parents tragically lost their lives in the huge tsunami that hit the shores of Sri Lanka on Boxing Day. Left alone, the two brothers and their two younger siblings faced a harrowing 200km trek across the county to reach safety. The first motivation behind the brand was to build a children’s home for the victims of the disaster. ‘When we lost our parents we were so lucky to have support systems in place in the UK. We could get on a flight to come back here. But if you’re in Sri Lanka and India and you’re orphaned there is none of that. So we thought it would be great to do something for our parents, to continue their legacy.To build a children’s home in their memory.’ Paul explains. In 2012 they launched the brand, and what followed was two years living together in a tiny room as they tried to get their venture off the ground. ‘I slept on this sofa with a terrible arm-rest, I had neck-ache every day,’ says Paul. For the first couple of years it was only flipflops. Competing with established Australian surf brands, in a country known for its two week-short summers, on very little income, the task was a daunting one. But something in the Forkan DNA kept them going. ‘Before we left for India, my parents had a small fashion business and worked incredibly hard, we never saw them. I think they really instilled a work ethic into us.’ Their parents’ influence is still ever present. The Gandys logo is a Kingfisher, their dad’s favourite Indian beer. A string of collaborations with some heavy hitters then followed, and the brand grew and grew. Liberty’s, McLaren F1, one day even the Rolling Stones came knocking and before they knew it they were exhibiting in the Saatchi Gallery. The Duke of Sussex wears their beanies. 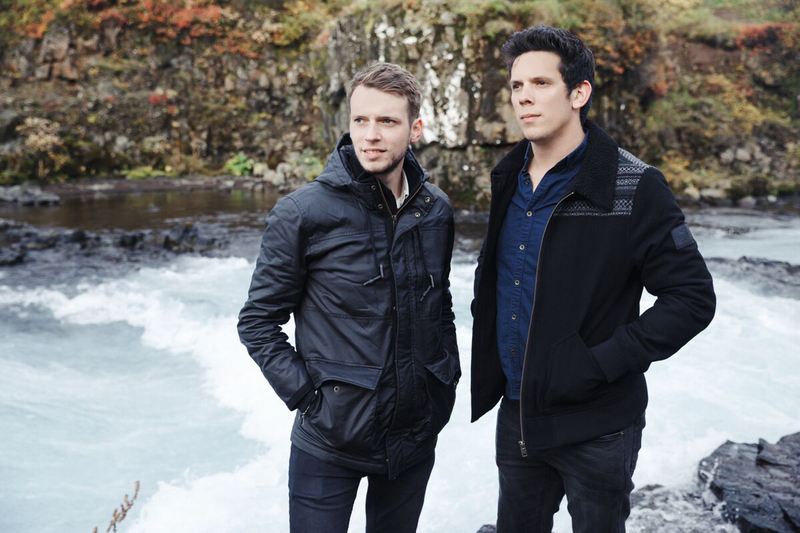 ‘All we’ve done with Gandys is put our up-bringing into our brand really’, Paul explains. This love for travel and different cultures infuses Gandys with a worldliness whose drum beats loudest in the form of their charity Orphans for Orphans. 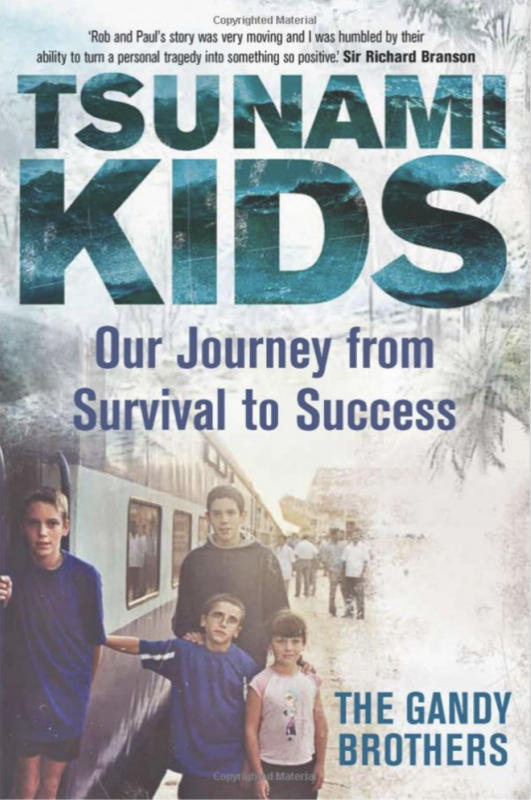 10% of all their profits go to the foundation, as do the proceeds from the book they wrote together entitled ‘Tsunami Kids’, which tells their remarkable story. beloved QPR, now acts as a thriving community centre. English teachers teach the whole village, not just the children, there are classes in carpentry, electrics and plumbing for the less academically minded, and at night the place is abuzz with life with mass games of volleyball and cricket. There are plans afoot to build new homes in Malawi and Brazil.